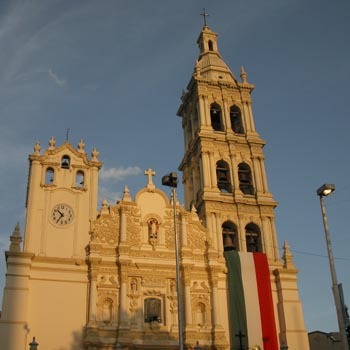 Monterrey is the capital of the northeastern state of Nuevo Leon, Mexico, which shares its border with the United States. It is sometimes referred to as the "Sultan of the North" because of its large industrial base and the many businesses that call the city home. The city dates to 1596 and is known as "La Ciudad de Las Montanas" or City of the Mountains. Monterrey ranks as Mexico’s third largest city with more than 1 million residents within the city limits. Since Monterrey has no beach, it has escaped notice by most leisure travelers and is visited by businessmen. Whether on business or vacation, it is best to see the sights and sounds of Monterrey by renting a car. With many options to choose from, wise travelers check with Economy Rent A Car for their car rental needs in Monterrey. The friendly staff at Economy Rent A Car will help you select the vehicle that best meets your needs and will do so at a very competitive price. Be sure to check with Economy Rent A Car if you need to rent a car in Monterrey, Mexico.